Honestly, I get my Christmas shopping done before Thanksgiving most years but that's because gift cards are my friend. I brainstorm in Fall and think of what the people on my list may want. The last thing you want to do is be out the week before Christmas when people are driving like they're trying to flee the country and risk a car accident. If you don't want to do it before Thanksgiving, do it the week or 2 after. You want to get it over with early so you can focus on enjoying the Christmas parties, decorations, festive movies and music, and time with your family. Why anyone would rather waste it trying to deal with lines in a store is beyond me. I know it's easier to find the time to go shopping on a weekend but that's when everybody goes so it's always really busy. Instead, take a weekday off work to get it all done or split it up over a few evenings. The stores are less crowded, lines shorter, and traffic isn't so bad after rush hour on a weeknight. Plus, if your kid wants to see Santa, the lines aren't as long as the are on weekends. 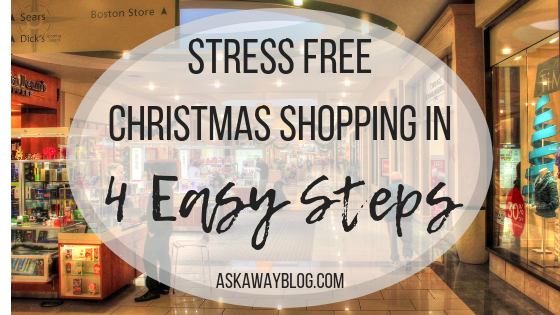 My favorite piece of advice for stress free Christmas shopping is to make and stick to a budget. 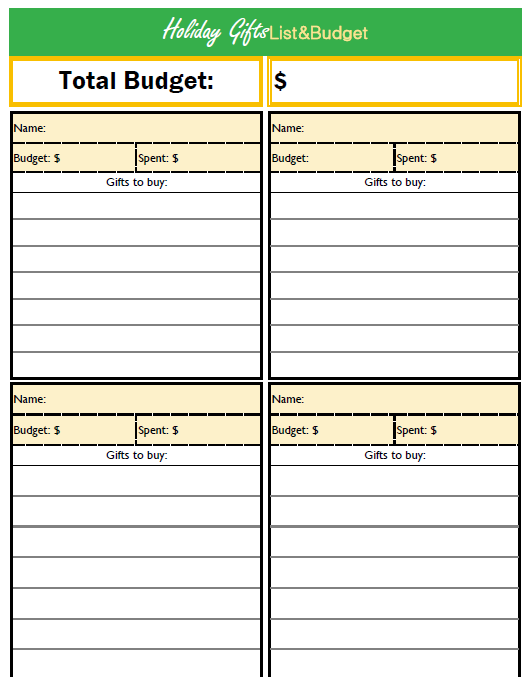 You just decide on a total budget that you're able to spend and then list who you want to buy a gift for. Brainstorm ideas of what to get each person and keep an eye on your budget. Some people choose to shop first then see how much they spent. NO! Only buy gifts you can afford! We all get a little hangry after being on our feet or in a car with traffic stop and go, so it's REALLY smart to keep a water bottle in your car for when you're thirsty, and keep some snacks in your handbag for when you feel cranky. I never shop on an empty stomach because it makes me tired and then I get really impulsive with my shopping decisions. Carry some granola bars in an effort to keep you alert and away from fast food. So you see, Christmas shopping does NOT have to be a nightmare. 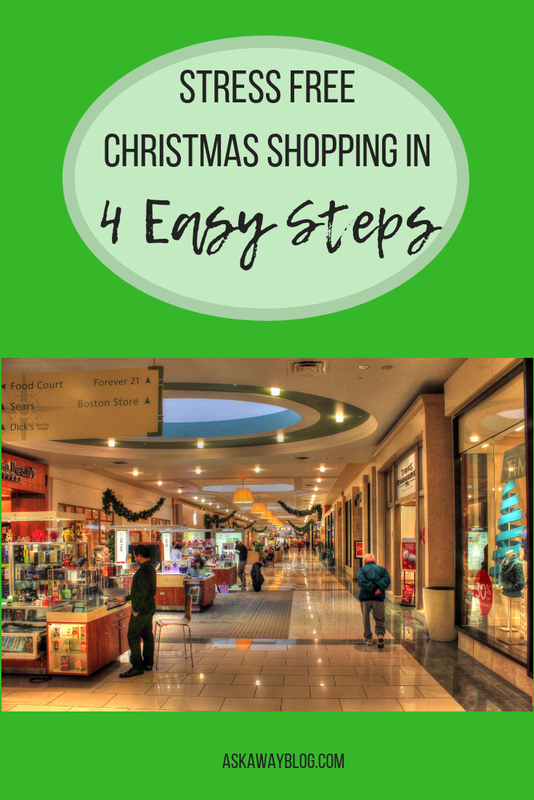 With a few easy steps you can make the most of your holiday cheer without wasting energy last minute shopping. What's your biggest challenge with Christmas shopping? I have been doing my Christmas Shopping During the day. When the store aren't packed.